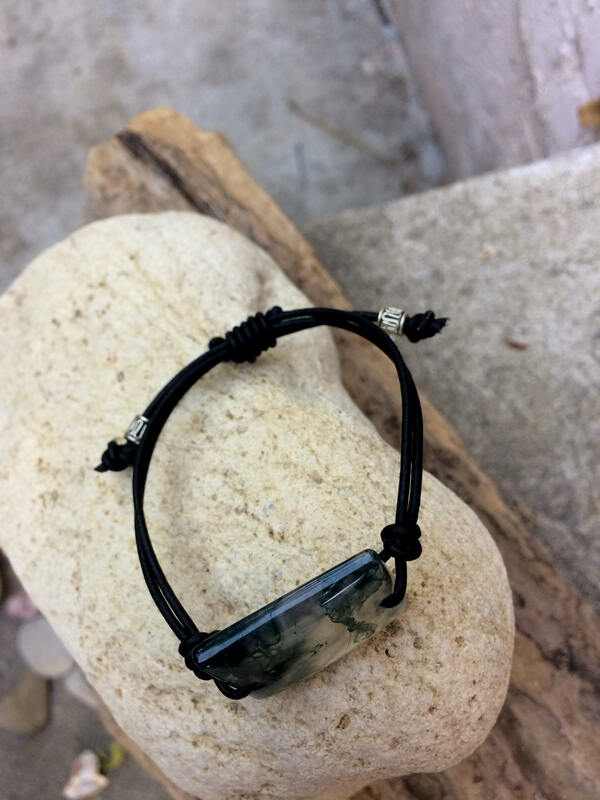 The moss agate is a beautiful stone that is clear/milky and has dark green "moss" that runs through it. These simple pieces of art are great when you want something a lil' different to wear. They make wonderful conversational pieces because of their unique look. 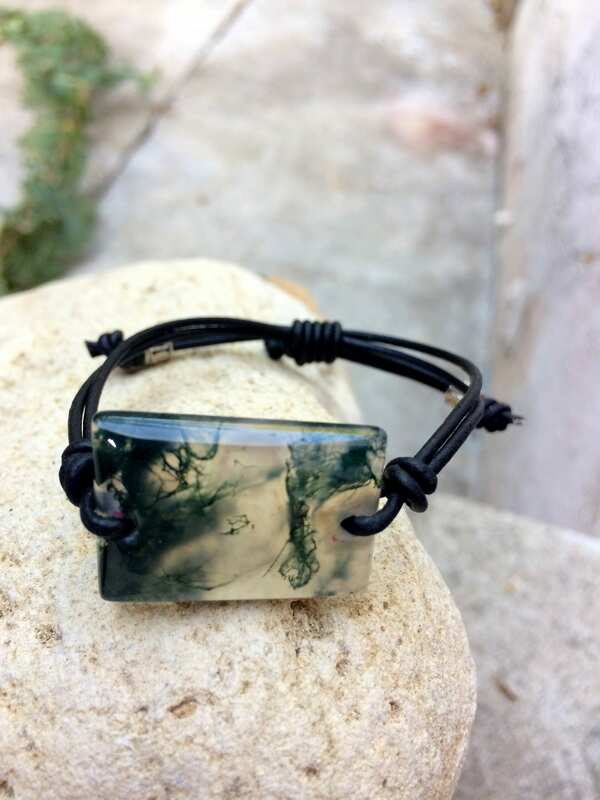 This stone is simply gorgeous and my favorite type of the moss agate! It is 1 1/8" long and 3/4" wide. This are a very unique stone and hard to find this pretty and this shape. 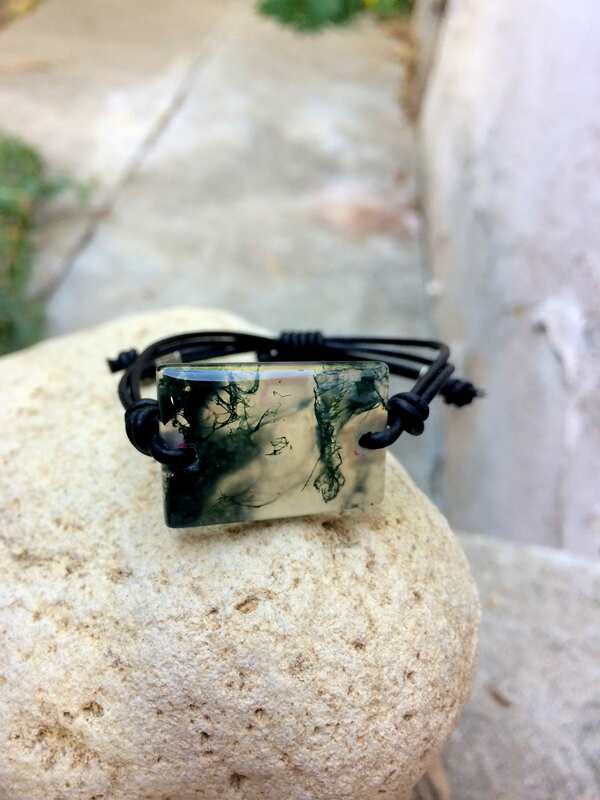 This one is the darker side of the moss coloring with metal accents. 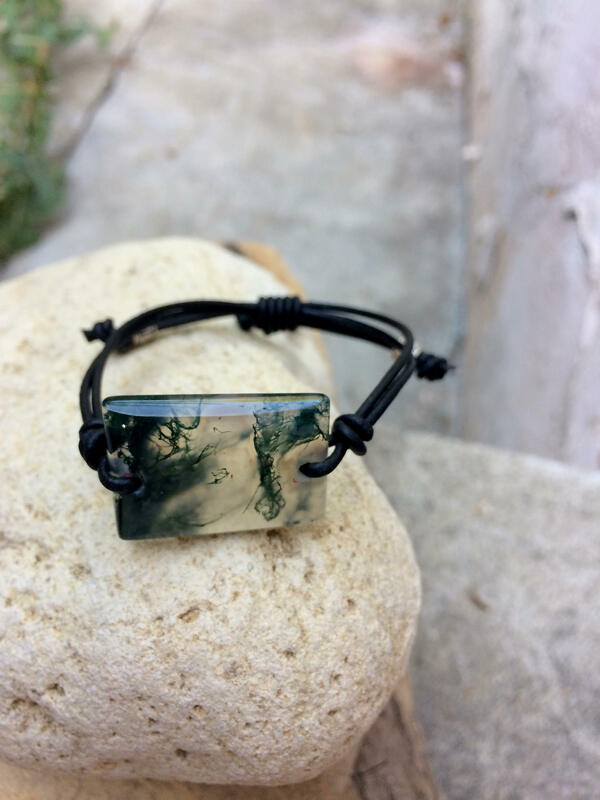 The bracelet is adjustable up to 8" long on brown leather cord.